Ray Lewis. Peyton Manning. Two men. Two football players. 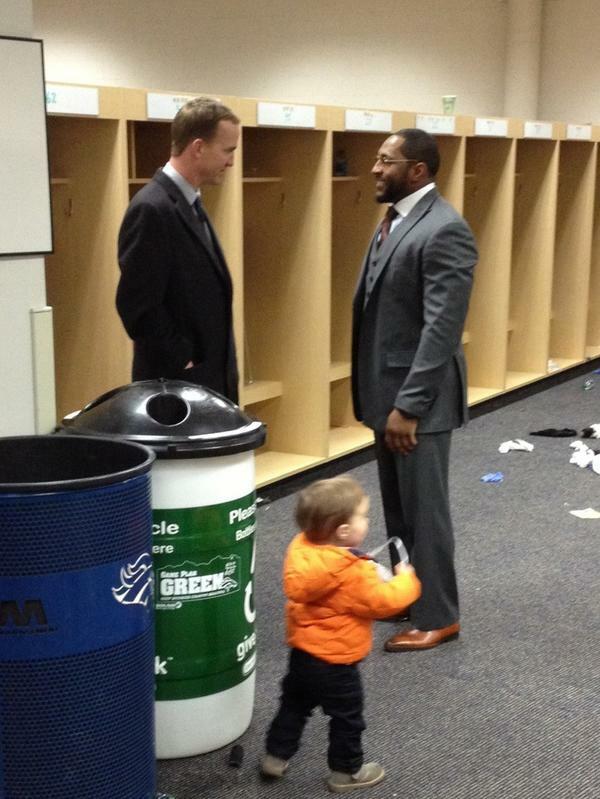 Two NFL legends. Two future Hall of Famers. Mutual respect. …and a little boy who will grow up and be mind blown over being included in this moment caught in time.